Gambling is very uncertain and there is generally a lot of money at stake while players play online casino games or even at a casino instant play game option. Players can never really predict the outcome of a hand or even ensure that they will win every game. Strategies and skills always help to improve the chances of winning and decrease the failure rates. However, sometimes this is just not enough. Players sometimes do need some outside help, which they think will bring them good luck and increase their chances of winning at a game. What works for one player is often copied by several others and so superstitions evolve and develop over the years becoming a gambling habit. After winning a particular game, a player will often search and reflect back on all the events that took place during that particular game session. It is during that time that the player will attribute a certain action or event or even a particular object to his/her win and decide that it was lucky for him/her. It could even happen that a player might get better results while a particular dealer is at the table and he/she might consider that this dealer is lucky talisman. Something reverse could also happen, if there is a major loss during a gaming session. The same theory applies here as well, the player will attribute a certain dealer, an action or event or a particular object as their reason for loss and will try to stay as much away from it as possible the next time. While playing at an online casino, sitting with your legs crossed is considered to be unlucky. Several players will consciously ensure that they do not cross their legs even once while they are playing online games. 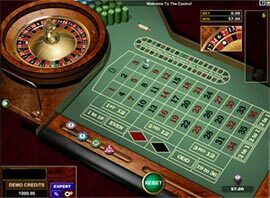 It is also considered to be unlucky to whistle or sing during an online gambling session. It is believed, that by doing so you will end up losing a lot of money during that gambling session. There is one very popular superstition, which is Asian in origin, but is very widely prevalent throughout the world today. Many players believe, that if they wear red underwear or any other red colored clothing, it will bring him/her good luck and lot of money. Several players who are playing games online from home will ensure, that they change their clothes and wear something red before they begin a session. When it comes to online slots, several players only play them online during the weekends since they believe that on the weekends the slots are hot and there are more chances of winning a jackpot. The other superstition which is quite commonly seen is that many players often begin with a small prayer and even offer fruits, light candles etc, before they begin their online game since it is believed to bring in good luck. There are also some superstitions concerning the poker game in particular can be found. Read about them here.